Discussion in 'TV Show Forum' started by raigraphixs, Feb 23, 2013. Five-part drama series sees a community thrown into turmoil when its May day queen, 14 year old Hattie, disappears. I forgot about this ... was it any good? Was going to watch it, but I can't be doing with these one episode a night for a week type things, just haven't got time to watch them and couldn't record it because it clashes with other stuff later in the week. If it's any good I'll try and catch it on iPlayer. My thoughts exactly. Hate it when they do it, it always seems like they're just rushing to get the show out there. I'd love to know if these 'stripped' things ever work, ratings-wise. Forgot about this, will iplayer the 1st and rec the rest. Looks OK. Lots of back story hinted at and not expanded fully yet. Possibly they've gone a bit over the top with setting up a multitude of suspicious characters. Got the 1st episode watched last night, am I the only one who thought the girl didn't look 14? A wild stab in the dark, I'm going for the only bloke they haven't portrayed as a possible killer - the bloke who works in the shop that Linus visits. The creepy guy Seth is well played. I've got these saved on my TiVo. Is it worth spending 5 hours watching this? 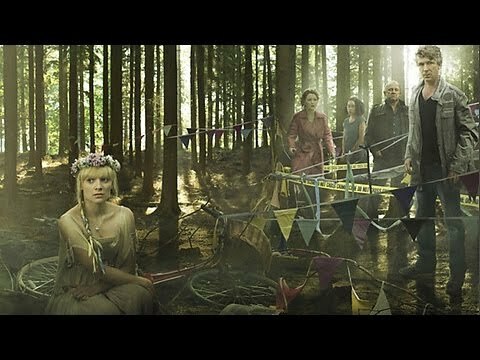 Enjoyed the finalé, overall it was more about the community (even magic) and characters than just who and how the person was killed. Liked the way it tied in with the other den character. Did enjoy this series. Now for Broadchurch and Lightfields, both on iTV, and usually a let-down channel for drama. What's happened to DNA, would there be none reliable due to the outdoor elements? Loved the look on their faces at the end when the sister cycled past, she had a grin on her face as she drove off, so she did not actually know it was him who killed Hattie, she is just going around scaring people the worry is she might be killed to! - i loved the ending though. Just caught the finale last night. Did anyone think Aiden Gillen looked far too 'Hollywood' for a chap who doesn't work and claims benefits for years? I was a wee bit taken aback at the ending, thought it was better than the usual Police capture the real guy then fade to black a'la early The Bill. BBC1 HD F1 coverage not HD?